The Polish bank has extended the subscription period in the tender offer to April 1, as announced by the bank. The decision to extend the subscription period was made because PKO BP is still waiting for the approval of the Polish financial market regulator KNF. The tender deadline already had to be extended once, until November 25, 2013. In October last year, KNFs deputy director Wojciech Kwasniak repeated that Poland´s banking industry must remain fragmented. Compared with other European countries, this has proved to be a major strength, Kwasniak said. PKO intends to become the sole owner of Nordea Bank Polska. 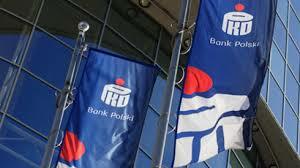 In June last year, PKO BP agreed to take over Nordea Bank Polska. Not only the banking business, but also the life insurance segment will be acquired. Nevertheless, PKO BP´s management is still optimistic that the deal will be signed in the next months. PKO BP underlined that the bank still has the intention to buy all remaining shares in Nordea Bank Polska. In December last year PKO BP reissued a tender offer of 55.5 million shares of Nordea at PLN 47.99 per share, in line with a deal made in June 2013 which has already been given light to by UOKiK, the Polish anti-monopoliy authority. Regarding the consolidation in the Polish banking sector, KNF became stricter in the last years. In the past, KNF has set limits to dividend outflows to foreign parent banks. According to KNF, this requirement has helped to keep the Polish banking sector stable and to prevent bailouts. At the moment, Poland´s banking sector is one of the most stable in the CESEE region. The non-performing loan quota comes at 4.5 percent. Nordea Bank Polska is Poland´s tenth largest lender. Swedish Nordea Bank is still the minority shareholder.